This competition will take place on one set of the usual arrangement of side-by-side tables in the "Great Hall." Each team will be scheduled for three head-to-head competitions and will be supplied with their scoring sheet at the end of their performance. If possible, scoring should either be computerized or on two-part forms, so that a record can be retained for the awards process. In order to help teams better understand the judging process, teams will be encouraged to discuss any questions they have about their scores with the judges. Team members must be strongly reminded that this type of questioning is likely to be prohibited in the official FLL competitions. There will be no official posting of scores, though teams are free to compare their scores if they like. Scores will be used to determine awards for the two high-scoring teams. 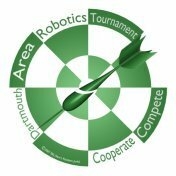 Teams will have an absolute maximum of nine minutes to enter the competition venue, set up, compete, pack up, ask questions, and leave. What sort of communication will be needed between this venue and other areas of the tournament. How will the referees communicate with the venue coordinator and others in the tournament to keep them advised of progress and needs. What sort of preparation will be required at the start of the tournament.